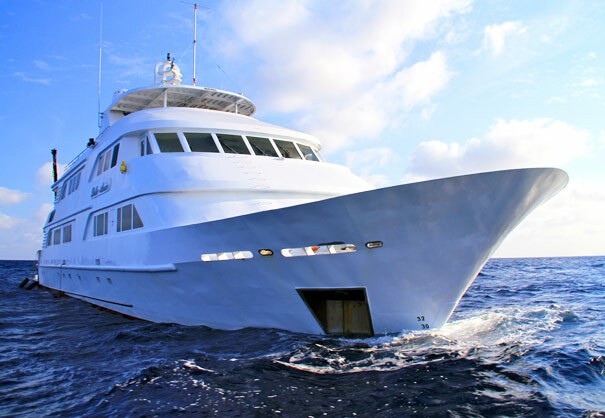 Nautilus Belle Amie – Luxurious Liveaboard Dive with Giant Mantas at Socorro or Cage diving with Great White Sharks of Guadalupe Island. 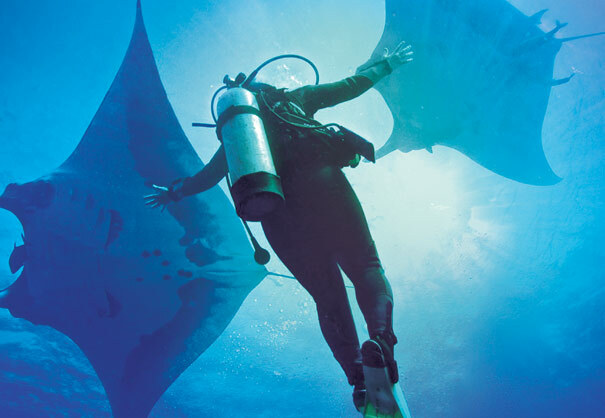 With over 25 years experience in liveaboard diving, we have a pretty good idea of when and how to get you in the water for the best possible diving experiences off Baja California (Mexico). 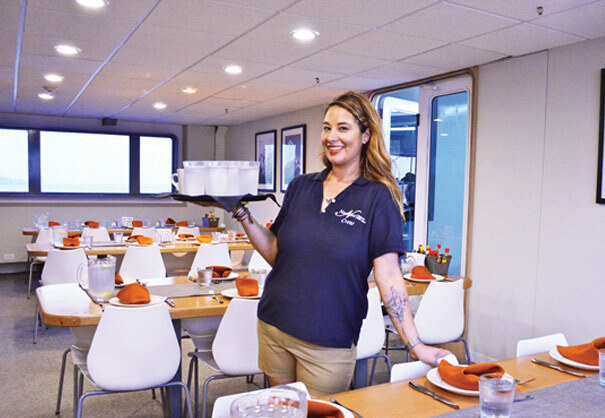 Our ships are crewed by a wonderful and extremely hard working team of men and women from around the world who love the ocean just as much as you do.  The Nautilus Belle Amie is a luxurious, stabilized, modern vessel custom built for divers to the same SOLAS standards like the largest ocean-going cruise ships in the world. Dive to 30 feet and go face to face with great white sharks of Guadalupe Island. Where is Nautilus Belle Amie? Real time position of the Nautilus Belle Amie and Nautilus Explorer.